My friend Fifi asked me to share this with all of you! 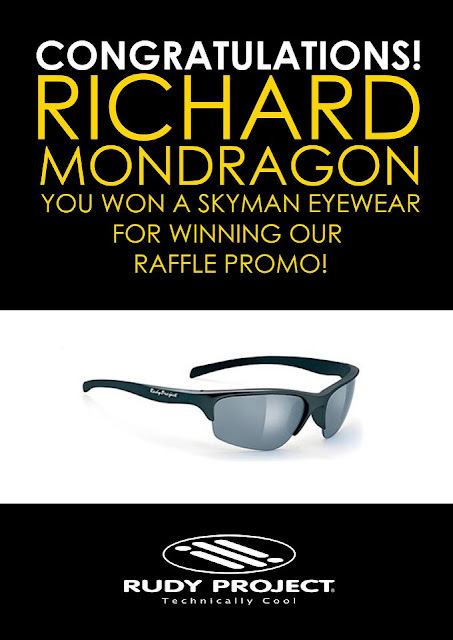 Next month, it could be you! 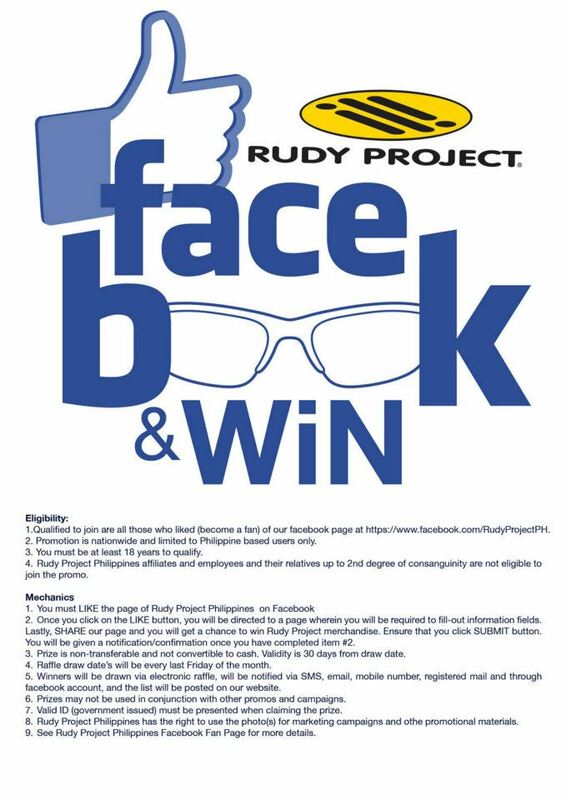 So LIKE Rudy Project Philippines' Facebook page and when you share, tag 3 of your friends who are not yet fans of Rudy Project Philippines! The more friends you tag, the higher the chances of winning!